It’s harvest time.. I’ve been awaiting this and dreading it for a few months now, knowing that processing honey without a machine is going to be, well, let’s just say time-consuming and sticky. 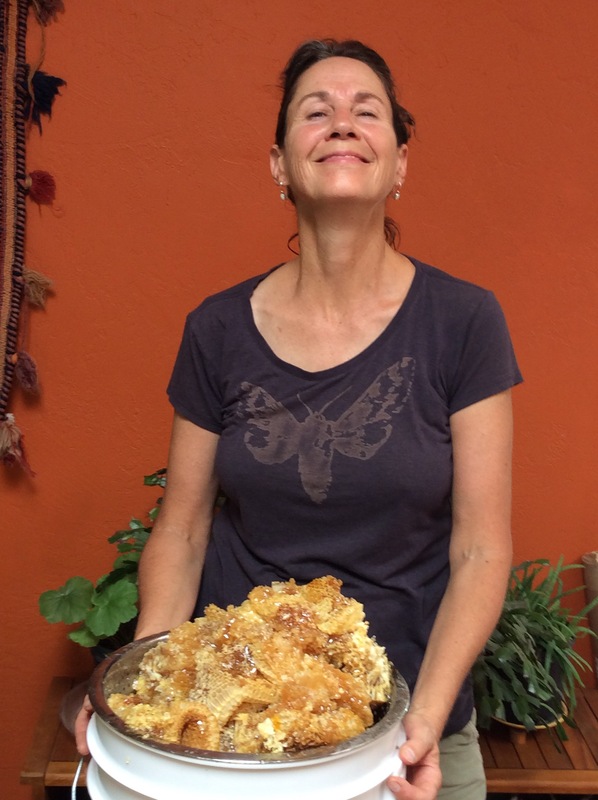 But I am feeling a little bit giddy now that I’ve actually done the deed—pulling out about 8 bars of honey from my girls. Thick as Amber molasses and gooey as taffy, I can already taste it melting in my mouth. 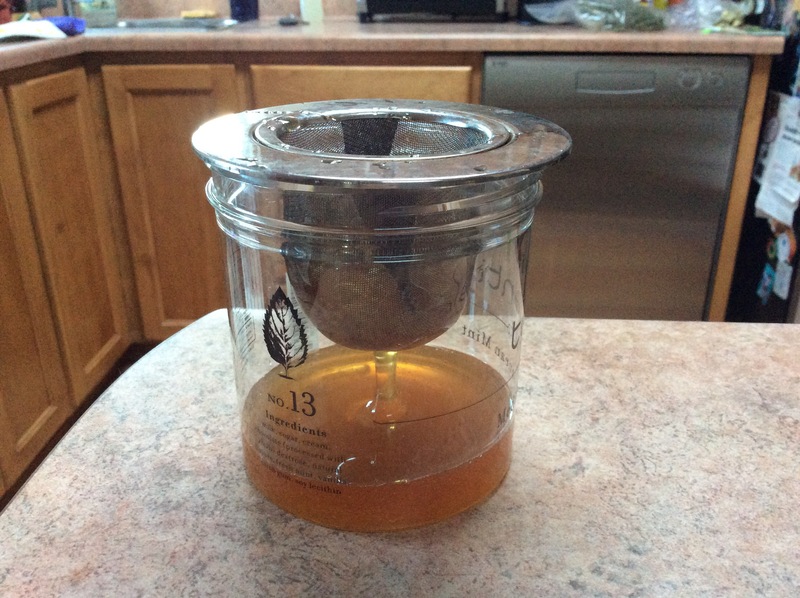 My bees don’t make light, floral tasting honey. They go for a thick texture and a ripe, raw earthy taste. I’ve crushed it and now it is just dripping like liquid gold into a big bucket. It will sit like that for a few days, interspersed with some more smooshing down of the wax until it is all squeezed out and melted into the big white bucket. Meanwhile, if you are near, come on down to the City Council on Monday, August 15, 5pm and support bees and all pollinator’s as we bring the Bee City USA Resolution to the floor to protect pollinator’s in our fair city. Wear white to stand with the Beekeepers. If you are far away, light a candle and remember us with good thoughts. Meanwhile, thank you for all your care for birds, bees, bats and anything pollinator! Due to popular demand, we will keep up our swarmfunding site, Deposit a Gift until after our Resolution passes…just in case you haven’t had the chance to contribute to ThinkLikeABee’s work! Soooo amazing!! Driving around between Bozeman and Helena Montana and seeing all kinds of beehives next to the road! Love what you’re doing keep up the good work!